Not to be missed. 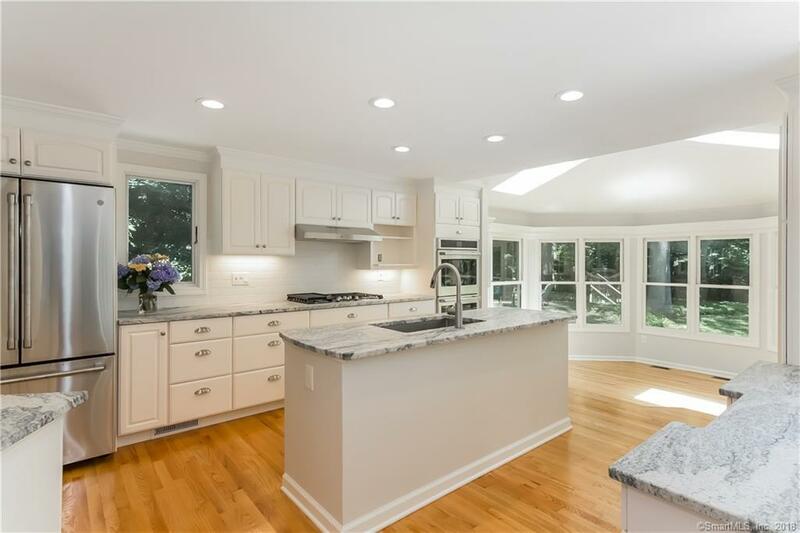 You will be pleasantly surprised as you enter this gracious, newly renovated home. Freshly painted inside and out. Brand new gorgeous kitchen with stunning leathered granite island and countertops, brand new stainless steel appliances and sink, fresh, white cabinetry - all new! An adjoining eating alcove with a soaring ceiling and wall of glass lets the natural light pour in. This home is not your everyday Colonial! The floor plan is perfect for entertaining and was designed by two local architects. The 3 full and 2 half bathrooms have all been remodeled. Two master bedrooms allow for extended family options. Hardwood floors throughout the entire home except the third story bonus room, which has brand new plush carpeting. A large deck flows from the kitchen and dining areas and overlooks the expansive back yard. Plenty of room for the family to spend time outdoors. Come view this lovely home filled with character and great space, yet not overwhelming in size. Across the street from the Country School field. Enjoy beautiful sunsets from your front yard!